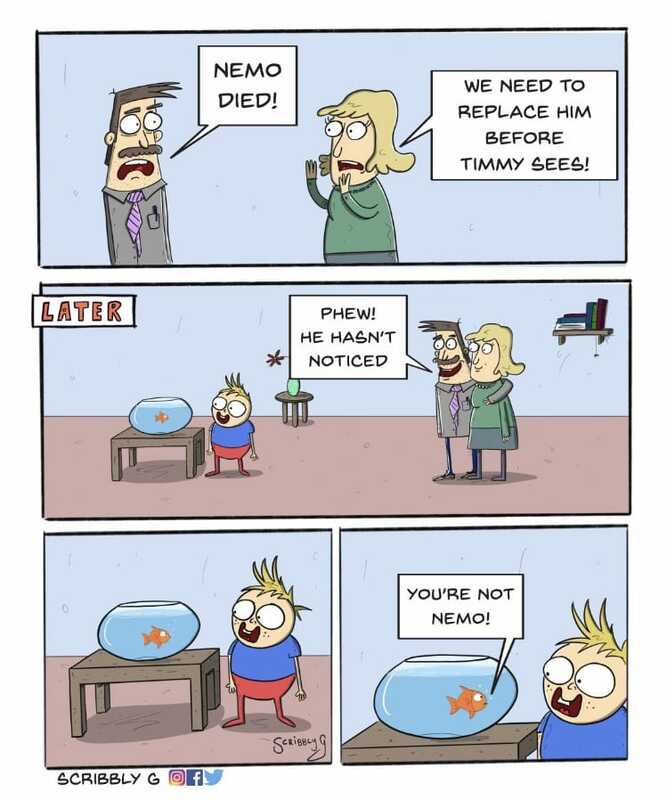 Nemo died! We need to replace him before Timmy sees! Phew! He hasn't noticed. 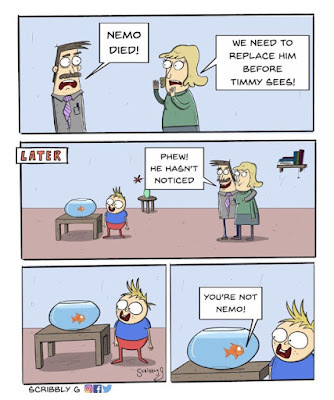 Fish: You're not Nemo!